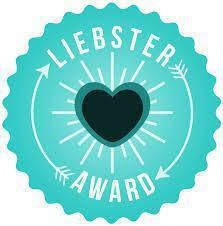 Kate and Anjana, thank you very much for nominating me for the Liebster Award !! Anjana nominated me for the award way back in July. My apologies as I couldn’t get back in time. I absolutely always enjoy your blogs and writing, especially the fiction. Kate nominated me for this award just recently. I always look forward to her posts. There is honesty and straight thinking in her writings. I love the way she helps and encourages fellow bloggers. And I give a special thanks to her for encouraging me to resume drawing/sketching after so many years. I appreciate both of you from core of my heart. To be recognised by my fellow bloggers is quite encouraging for me. After completing these questions you must nominate 11 bloggers and give them 11 questions of your choice. People who believe in themselves and always remain positive. Optimism and positivity is the only way forward in life. Negativity kills ! To travel around the world and visit each and every place on the earth. Explore the nature and its beauty. 4. If you were allowed to make ONE miracle happen, what would it be? To end the fightings, battles, wars and hate in this world. Peace !!! 5. What are you most insecure about? Well there isn’t any particular aspect of my life which I am most insecure about but if I have to think of one that it could be being unhealthy or fat. Lol. I love food and eating but I try to stay away from unhealthy food as much as possible. I work out daily and am quite fit. Exercising daily actually keeps me relaxed. 6. What are you most secure about? Hmm. That’s a difficult question. May be my confidence and positive attitude. 7.What is your take on ‘true love’? It might not be smooth sailing most of the times but its the best feeling in the world. 8. If you had to give up one of these two, which one would it be? Reading OR Writing? I won’t give up any of these two. However, as I have to choose one I might give up writing. 9. Your favourite quote, And why is it special to you? Here is a quote which I read somewhere many years ago. I can’t remember who quoted it but it had a big impact on outlook towards life. I guess its the best way to lead a life. 10. Describe your perspective of life in 3 words. Mickey Mouse :D. Because of his energetic, lively and enjoyable personality. 1. Why me? What do I provide that has you coming back for more? Your straightforwardness and positivity. Your help and encouragement and engaging with fellow bloggers all the time. Well I always felt like speaking my heart out on many issues. More of it is about negativity and wrong things I observe in my daily life and I want to give my perspective as to how to make it right. Lot of my posts are about political and religious intolerance that is growing in the world. Moreover my interests include history, sports, music, movies and arts and I just want to express my views on it. 3. This Peace Movement… are you ready to make people more aware? Peace is the ONLY answer. 4. If I handed you $1,000,000 what would you do with it? 5. What is your best advice for gaining more followers? Lol. Well I guess I myself need advice on it. I guess the best way is to follow blogs of others and engage in discussions. In this way they often follow you back. And I guess there is no harm in following large no. of bloggers. It opens wide array of opinions, perspective and knowledge for us. The Daily Prompt on The Daily Post is I guess the best forum to use for getting more followers. Translation: Lahore is Lahore !! Translation: One who has not seen Lahore hasn’t born yet ! 7. Do you wear your heart on your sleeve or are you more reserved, making others earn your trust? Well I guess I a bit reserved. Although I have a free, frank personality but I don’t wear my heart on my sleeves. I toured Sri Lanka in 2010 and absolutely loved it. I frequently go to Northern Aread of Pakistan which is actually like heaven on earth. The scenery and landscape there is breathtaking. In future I have plans to visit Europe – I absolutely want to spend my vacations there. I guess I am a dog person. 10. I love to write, but right now, I’m in a funk. What would you say to get me back into writing? 2. Who is greatest inspiration in your life? 4. If you were a character from a movie, who would you be and why? 6. Why me? What do I provide that has you coming back for more? 7. What do you feel is your true identity? What do you think you’re really supposed to do in life? what is your dream/true talent? 9. If you could stay at a certain age forever, what age would that be? 11. What is your favourite way to unwind? 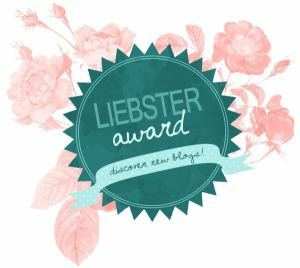 This entry was posted in Awards, Uncategorized and tagged Award, Awesomeness, Blogging, Leibster, Leibster Award, Writing. Bookmark the permalink.